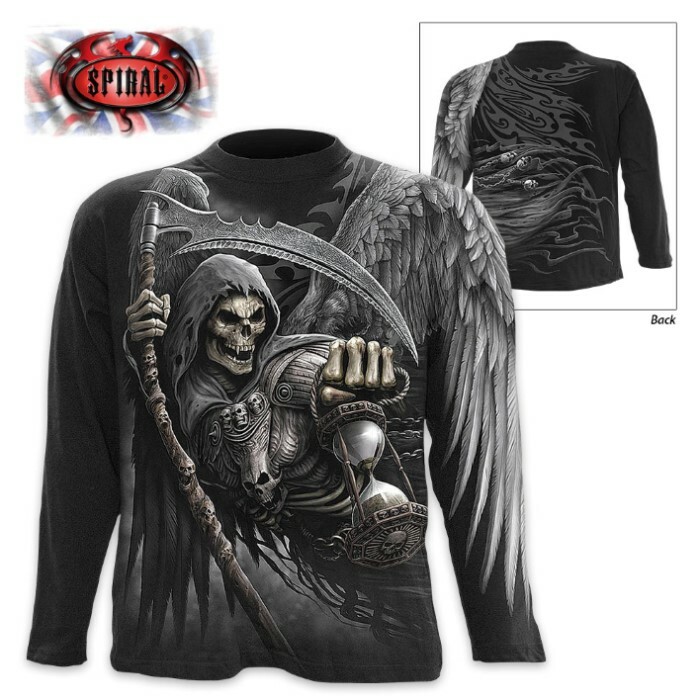 Black Death Angel Wrap - Allover T-Shirt Long-Sleeve | BUDK.com - Knives & Swords At The Lowest Prices! 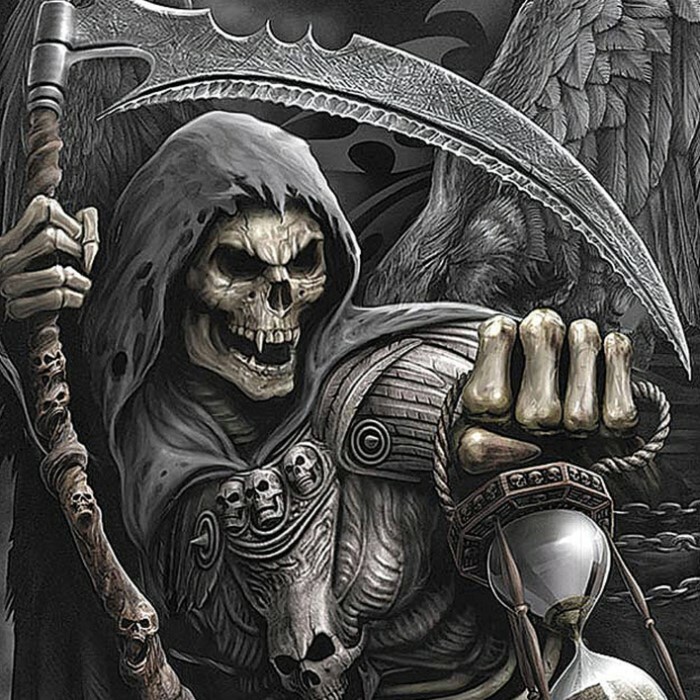 Beware of the wrath of this Reaper with wings design as he patiently cruises the skies carrying his scythe, in search of souls. 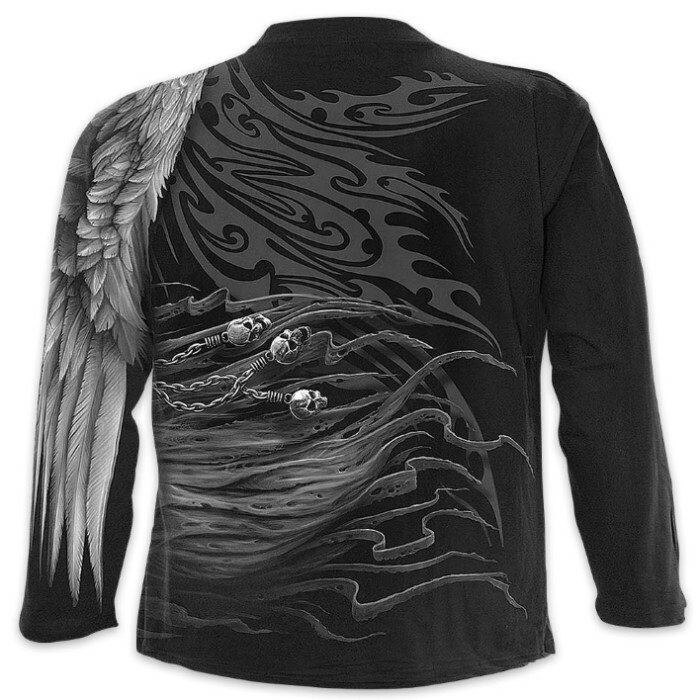 The black wrap, long-sleeve tee is completely covered in the vivid, original artwork, using skin-friendly, Azo-free reactive dyes. The shirt is made of top quality 100% cotton interlock and comes in large, 1XL and 2XL. Keep your eye on his hour glass as time is running out.